Multilingual children’s commentary is also available onboard in 3 languages: French, English, Spanish; an amazing journey through the tales, stories and legends of Paris (The Phantom of the Opera, Quasimodo The Hunchback of Notre Dame, and D’Artagnan and the Three Musketeers). •	The Open Tour Paris hop-on, hop-off bus operates on four routes covering the length and breadth of the city. You can switch between the routes easily. 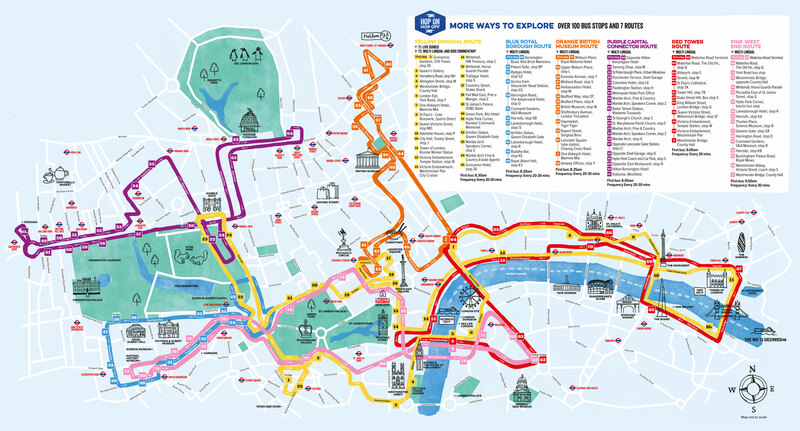 You may hop on and off the bus as many times you want at any of the 38 stops close to major Paris attractions. •	You could also simply sit back and relax in the bus as the key Paris highlights glide past your window! •	With your hop-on, hop-off ticket, you will receive a discount booklet that offers discounted entry to many museums, monuments and local attractions. Rock ‘n’ Roll Walking Tour(1pm), leaves daily from The Original London Visitor Centre at Trafalgar Square. Please reach the boarding point 10 minutes prior to your departure.